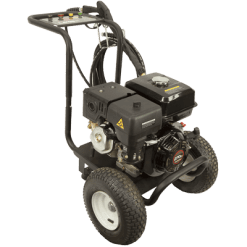 The PWR4000 petrol pressure washer is a heavy duty unit with an Italian pump and a 15HP Lavor petrol motor. 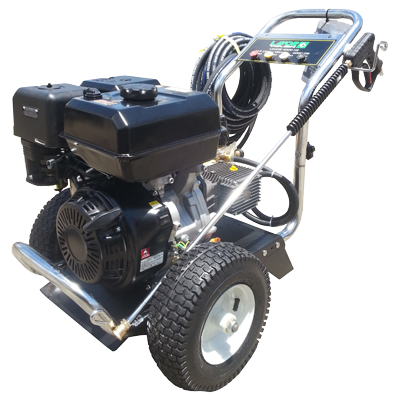 The pump operates at 4000 PSI and delivers 15LPM giving big performance for a serious user. 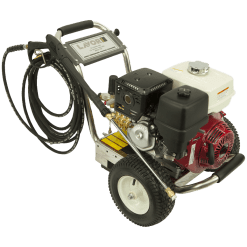 Accessories which are standard for this machine include an industrial trigger gun, lance and 4 seperate Quick release spray nozzles. For maximum ground coverage, a 15 metre HP steel braided hose is also included as standard. 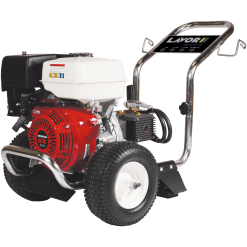 The motor and pump itself include a brass pump head, ceramic pistons and a thermal dump valve for pump protection. 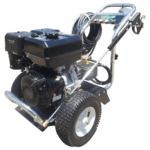 As a result, this cold water pressure washer is optimal for the onsite tradie or builder who needs to clean up quickly and wants a reliable, big performing machine.